1. Birds ‘n’ Bees, Duck Egg Blue. Shimmering, light reflecting, ever so slightly textured, in the most beautiful range of colours. 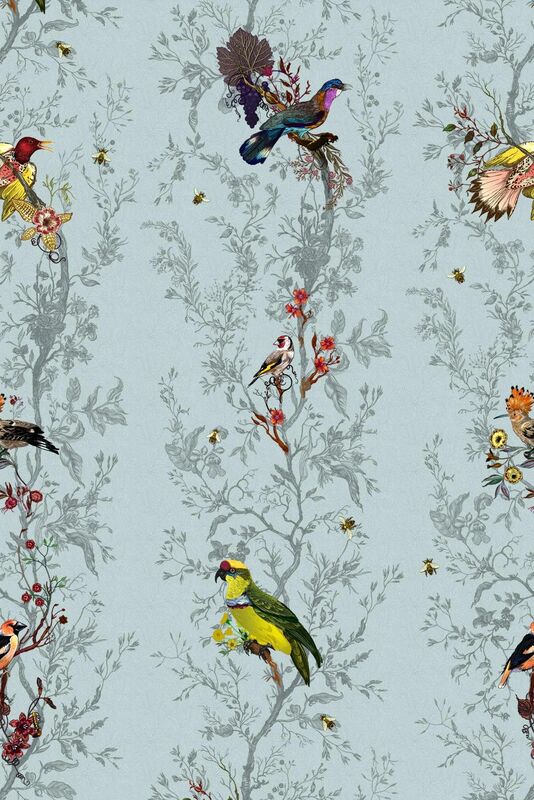 The details in this design, the bird colours in particular, are heavenly. 2. 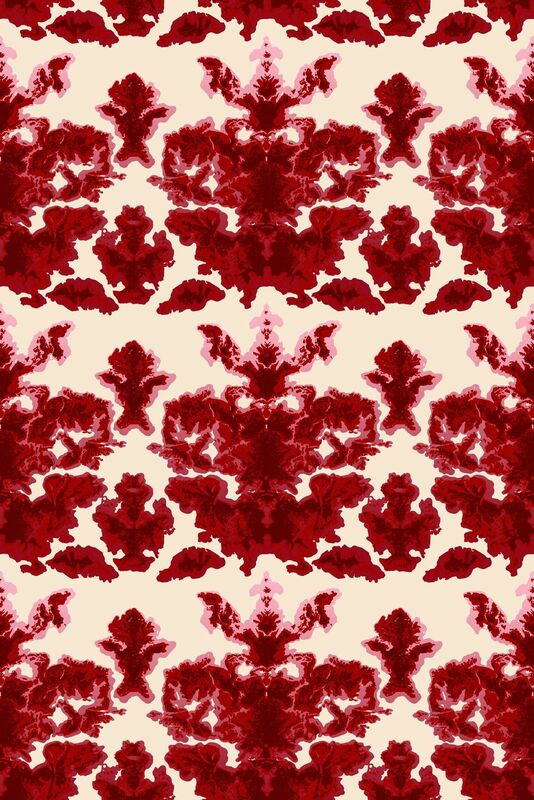 Euro Damask Hand-Print, Reds on Cream. 3. Iguana Superwide, Black on Ivory. 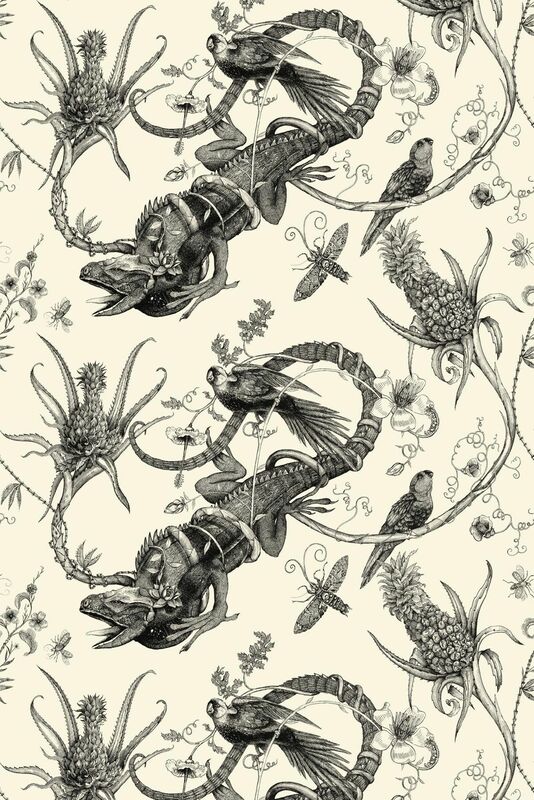 An intricate pattern with a hand drawn quality, reminiscent to me of historical botanical book illustrations. Manages to be both sweet and a little nasty. 4. 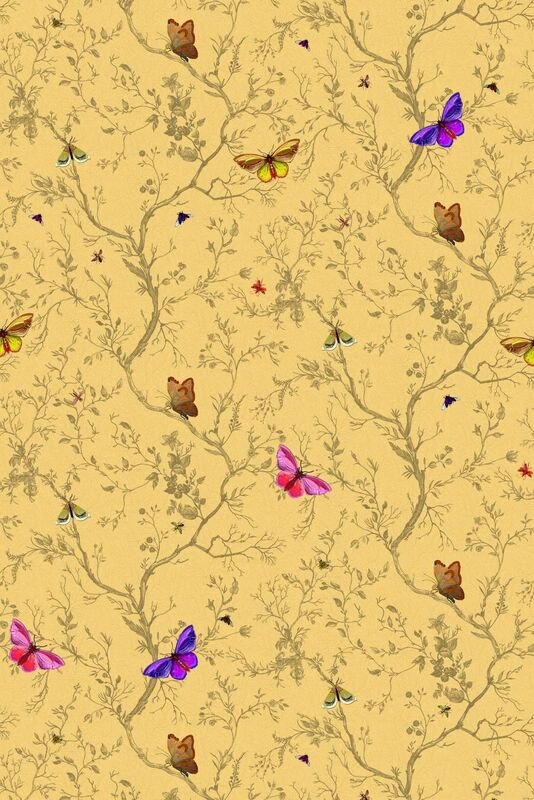 Butterflies, in Ochre. Here are golds, powdery silver hued pinks and mauves, and tiny patches of green that really catch the light. The paper has a lovely textural quality to the surface, like tissue paper. 6. Tree of Life, in Raspberry. 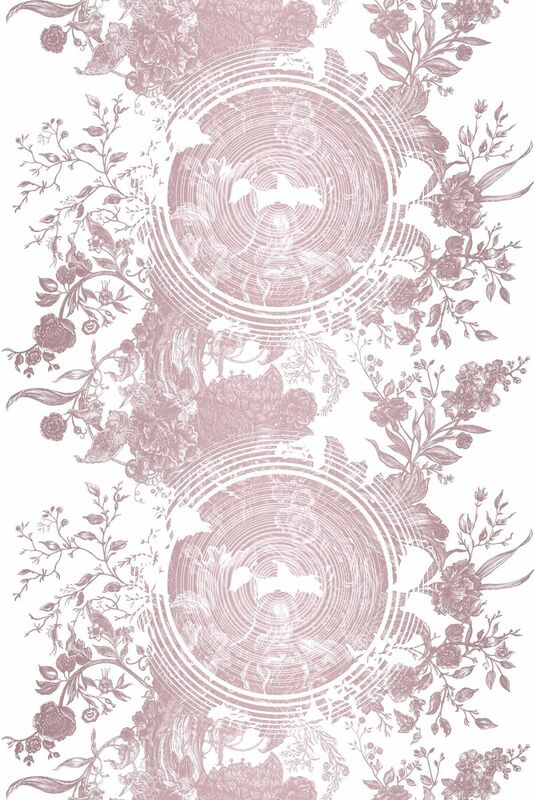 A soft, dreamy pattern that has a hint of the past about it, brought to life by smooth ripples of pale pink. There are printed fabrics, cushions, lampshades and rugs too, in many different colour choices. Timorous Beasties also provide a bespoke service, from custom colours to original artwork. All design work takes place at their Glasgow Studio, where they continue to hand-print many of their fabrics and wallpapers.